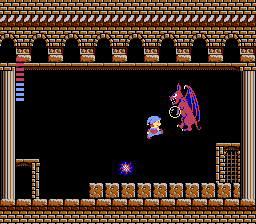 NES Milon's Secret Castle (USA) in 07:49.82 by Cheez. The title of this game is very appropriate, as wherever you look there are walls you can break through, or invisible blocks you can make appear. In order to complete this game as fast as possible, every little secret must be known ahead of time, and the author clearly exhibits such knowledge. Regardless, he has stated that it can be improved somewhat, in places such as the boss fights.